The Mandalorian may feature Star Wars Rebels' Sabine Wren after the character's helmet is reportedly spotted on set. 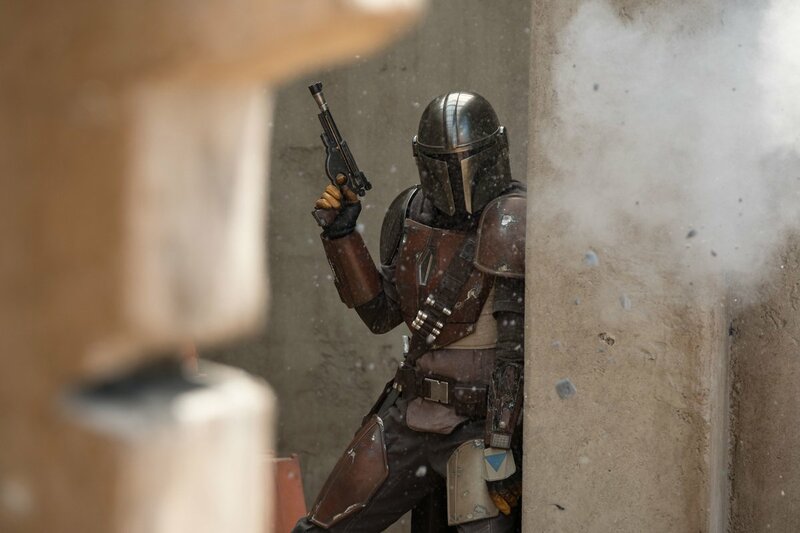 Created by Jon Favreau for Disney's own streaming service, Disney Plus, the spinoff series takes place between Return of the Jedi and The Force Awakens and will center on a single-operating Mandalorian gunfighter (Pedro Pascal). Considering the time period where the show is set, it opens up the opportunity to bring back some notable characters from around that era, including Sabine. One of the six new characters Dave Filoni introduced via the Disney XD prequel animated series, Sabine joined Ezra, Kanan, Hera, Zeb, and Chopper (collectively as the Ghost crew) protect Lothal from the Empire. And months after Rebels went off the air, fans may be united with the Mandalorian warrior in the brand new series. 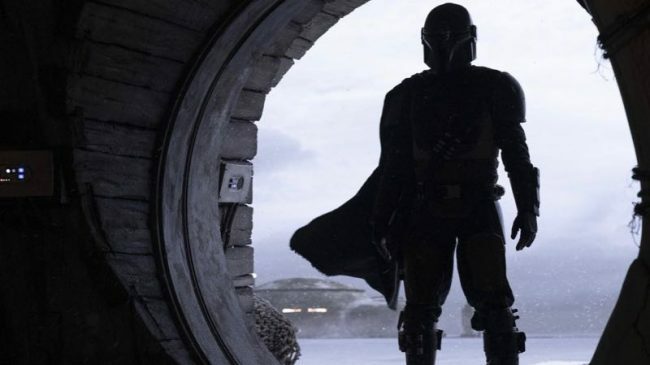 A report from Making Star Wars suggests that Sabine may appear in The Mandalorian after her supposed helmet was spotted on the set of the offshoot. While Mandalorian helmets look similar, Sabine's easily stands out due to her customization stemming from her love of art. This rumor connects to a previous one from the same outlet about the show using cutting-edge technology that will bring down the cost of real-time visual effects, which allows it to do film-level VFX work within their budget. And it turns out, this technology is being used on Sabine's helmet. Of course, even if it really is Sabine's helmet, it's not necessarily a confirmation that she'll make an appearance with it. However, from a narrative standpoint, it makes sense to bring Sabine in The Mandalorian - not only is she a Mandalorian warrior, but she's also once wielded the famed Darksaber before handing it to Bo-Katan in the last season of Rebels. Considering what it means to the people of Mandalore, it would be interesting to see how Sabine's contemporaries treat her knowing her history with the weapon. Additionally, given the role that she played in sparking the Rebellion that ultimately defeated the Galactic Empire, it's curious to know the legacy she and the Ghost crew left behind years after their own battles. Bringing back Sabine at the forefront of Star Wars storytelling through The Mandalorian also gives Lucasfilm the opportunity to fulfill the promise at the end of Star Wars Rebels. Following a time-jump to past the events of Return of the Jedi, Sabine and Ahsoka went on a mission of their own. It wasn't made clear what exactly they were up to at that point or why they're seemingly separated with Hera despite constantly being in communication, but Sabine sounds determined to find Ezra. Whether or not her potential appearance in the TV spinoff leads fans to his discovery remains to be seen. One thing is for sure, however, fans won't mind if they see more of the remaining Ghost crew in future Star Wars projects. 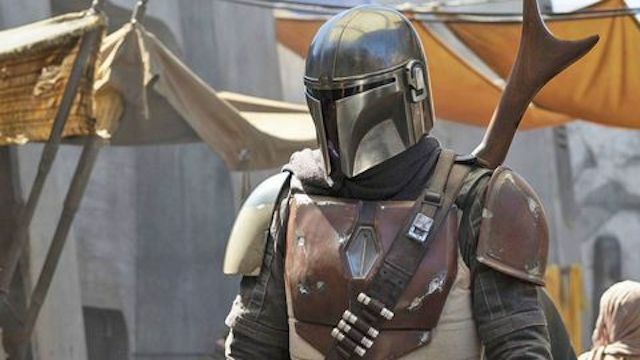 Ever since the announcement that Star Wars: The Mandalorian would be coming to Disney+, fans have been eager for any new information about the upcoming series. 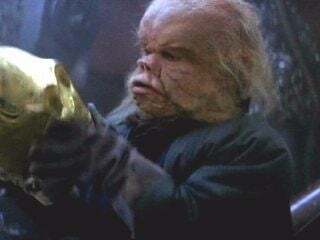 “Several sources are saying Nick Nolte is playing an ugnaught,” the site shares. In case you’re unfamiliar, an ugnaught is a sentient humanoid that resembles a pig. You may remember catching a glimpse of these creatures hanging out on Cloud City in Star Wars: The Empire Strikes Back. Sources have also revealed that the mask is being developed by Stan Winston, the Academy Award-winning special make-up effects creator known for his work in Iron Man, the Terminatorseries, Aliens, the original Jurassic Park movies, and the first two Predator films. 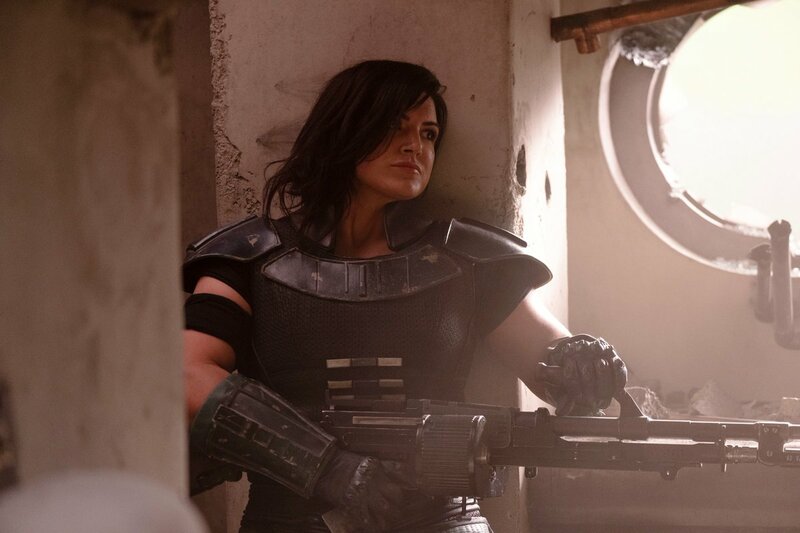 Apparently, Nolte never had to step foot on The Mandalorian set. “It seems he did his entire part in just a few hours in a makeshift recording studio in a linen closet,” MSW shared. While it’s unclear just how much we’ll be seeing Nolte’s ugnaught in the series, there are plenty of other actors who will be gracing your small screens. Pedro Pascal (Game of Thrones, If Beale Street Could Talk) will be leading series alongside Gina Carano (Deadpool, Fast & Furious 6), Carl Weathers (Rocky, Predator), Omid Abtahi (The Hunger Games: Mockingly - Part 2, American Gods), Giancarlo Esposito (Better Call Saul, Dear White People), and Werner Herzog (director of Grizzly Man and Bad Lieutenant: Port of Call). The Mandalorian is set to take the Star Wars universe into a new narrative territory, but it sounds like that will involve some old favorites as well. Executive producer and writer Jon Favreau recently confirmed via Instagram that IG-88 will be making some sort of an appearance in the series. Favreau's post, which was captioned "Merry Christmas", showed the fan-favorite droid standing in front of a green screen. IG-88 possibly appearing in The Mandalorian was first reported earlier this month, when it sounded like several bounty hunters would be returning in the series. "IG-88 has recently been seen on set, filming his close-ups, and being the star that he is on the set of The Mandalorian." Making Star Wars reported. "The old time bounty hunter isn’t just standing around either, we’ve had credible reports about blasters being fired and he’s riding speeder bikes and attacking enemies." While it's unclear exactly what role IG-88 will have in the series, the droid joins an eclectic group of people who will be making an appearance. Pedro Pascal will star as the series' titular character, with the cast also including Carl Weathers, Nick Nolte, Giancarlo Esposito, Gina Carano, Omid Abtahi, Emily Swallow, and Werner Herzog. Favreau spoke about the new cast additions, praising their additions to the new series. "We’re having a great time working with this incredibly talented group and excited for everyone to see what we’re up to," Favreau said in a statement. 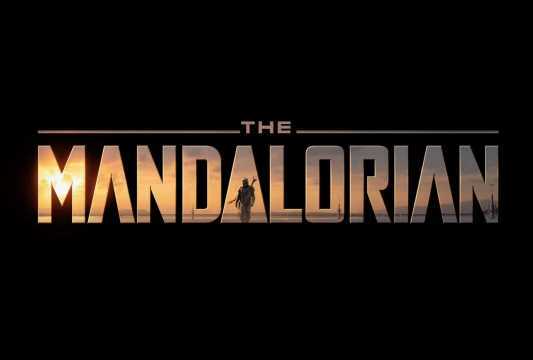 Little is known about the upcoming series, but it looks like Lucasfilm and Disney are finally starting to reveal some new information about The Mandalorian. The series synopsis confirmed the show would be set after the events of Return of the Jedi but before the rise of the First Order, teasing that it could bridge the gap to The Force Awakens. "The Mandalorian is set after the fall of the Empire and before the emergence of the First Order. We follow the travails of a lone gunfighter in the outer reaches of the galaxy far from the authority of the New Republic," reads the synopsis. In the announcement of the series, Lucasfilm President Kathleen Kennedy expressed her excitement at the new series, praising Favreau's contributions. "I couldn’t be more excited about Jon coming on board to produce and write for the new direct-to-consumer platform," Kathleen Kennedy shared in a statement announcing the series. "Jon brings the perfect mix of producing and writing talent, combined with a fluency in the Star Wars universe. This series will allow Jon the chance to work with a diverse group of writers and directors and give Lucasfilm the opportunity to build a robust talent base." With details very scarce on the upcoming Disney+ series, Star Wars: The Mandalorian, we finally know we have Oscar Isaac to thank for Pedro Pascal playing the titular character. Isaac, who plays Poe Dameron in the new Star Wars trilogy, took credit for Pascal taking the role in an interview with Wired as part of the press circuit for Netflix's Triple Frontier. In a Q&A session, at the 0:55 mark, right after Pascal says he is the Mandalorian, Isaac chimes in, "You're welcome. I convinced him to do it." Now, we don't know if it's a tongue in cheek moment, but given how pivotal Isaac has become to the Star Wars mythology as this generation's fighter pilot extraordinaire along the lines of Han Solo, we won't doubt if he did whisper a thing or two in Pascal's ear to join the franchise. 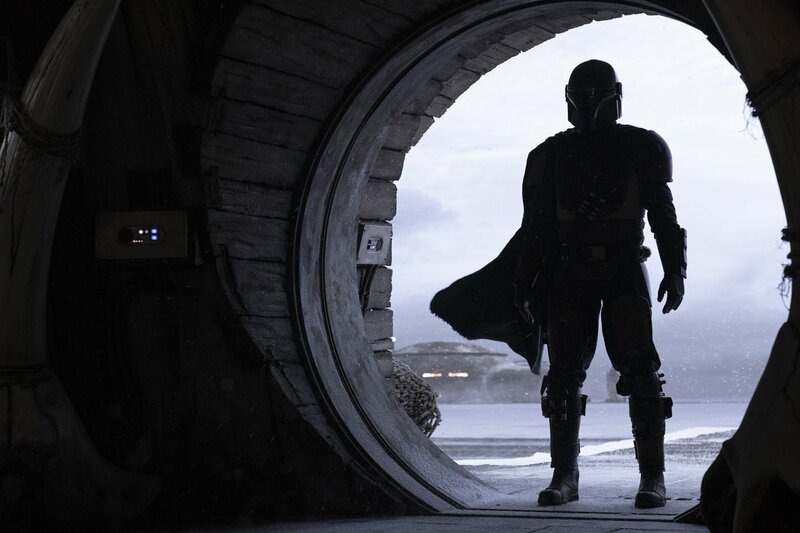 What we do know is The Mandalorian is set to take place a few years after the events of Return of the Jedi and will focus on the title character in a time of bounty hunters cutting loose after the fall of the Empire. With filming officially wrapped, as well as an official release date, it's expected that during this year's Star Wars Celebration, which takes place April 11 to 15 in Chicago, the first trailer and official title for the movie will drop. The Mandalorian SWCC panel is just finishing up, and while some behind-the-scenes B-roll footage and a trailer for the first ever live-action Star Wars TV series were screened for those in attendance, it doesn't look like anything is going to be released online just yet. We did get some cool new images and plenty of details on the show, however. The Mandalorian will be set 5 years after the events of Return of the Jedi, and before The First Order rose from the ashes of The Empire. "If you look throughout history, it's fun at first, but it gets very complicated very quickly. The idea of that world after The Return of the Jedi and what would happen and what sort of characters would survive, and what it was like until the new Republic took over," said showrunner Jon Favreau. "You have vestiges of the Empire. You have only the strong surviving. You have chaos taking over the galaxy." Pedro Pascal plays the titular "Mando," and he describes his still unnamed character as “a bounty hunter and a gunfighter. A mysterious lone gunfighter with a questionable moral character. And he’s a badass.” He'll be joined by Gina Carano's Cara Dune (Doon? ), who is an ex-Rebel Shock Trooper. "I'm a bit of a loner," Carano says of her character. "I’m having a bit of trouble reintegrating myself into society." 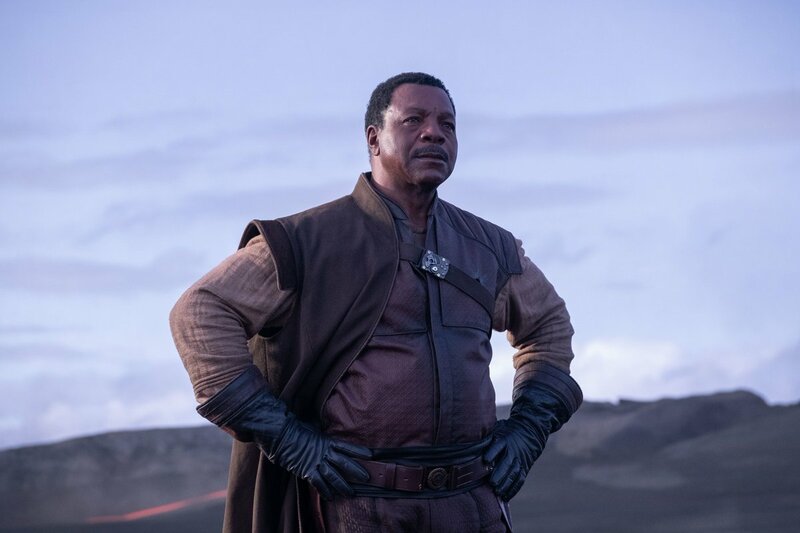 The third member of what appears to be a team of mercenaries is Grief Carga, who is played by Rocky veteran Carl Weathers. "He's the head of this guild of bounty hunters," said Weathers. "He's looking for someone to bring a product to a client. It's worth a lot, very valuable. Guess who he finds? He finds a bounty hunter named Mandalorian … he hires this guy, sends him out there, and Mando does what needs to be done." The trailer that screened is said to be something very special, so we'll have a full description of that later on. For now, though, check out a poster and five officially released stills featuring the show's main players. 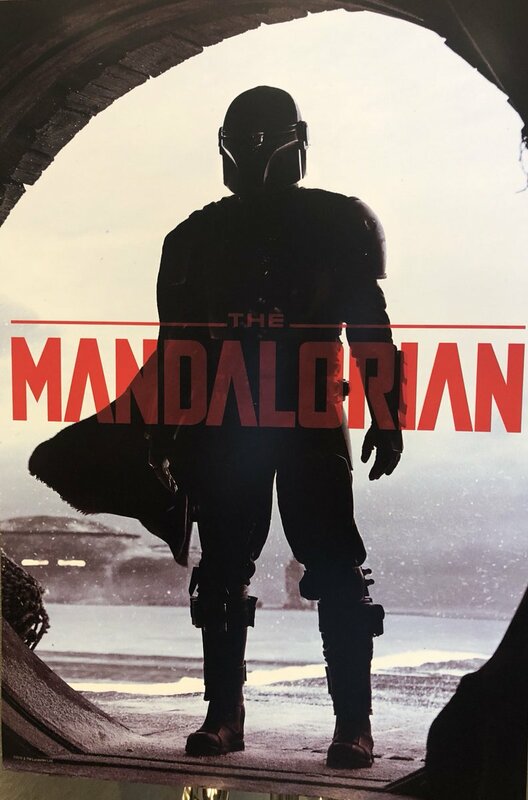 This past weekend at Star Wars Celebration, a few lucky fans got a closer look at the Disney Plus series The Mandalorian. However, in a recent chat with Collider, series star Giancarlo Esposito provided a bit more insight. Jon Favreau and his team used new technology used for the show, which impressed Esposito. Esposito then discussed how deep Favreau wanted to go with the project. And that included calling upon George Lucas. Additionally, Esposito shared his thoughts on the show’s directors, including Thor: Ragnarok’s Taika Waititi. The Mandalorian will premiere on Disney+ on its launch date, November 12.